The cutest ideas are on this blog. 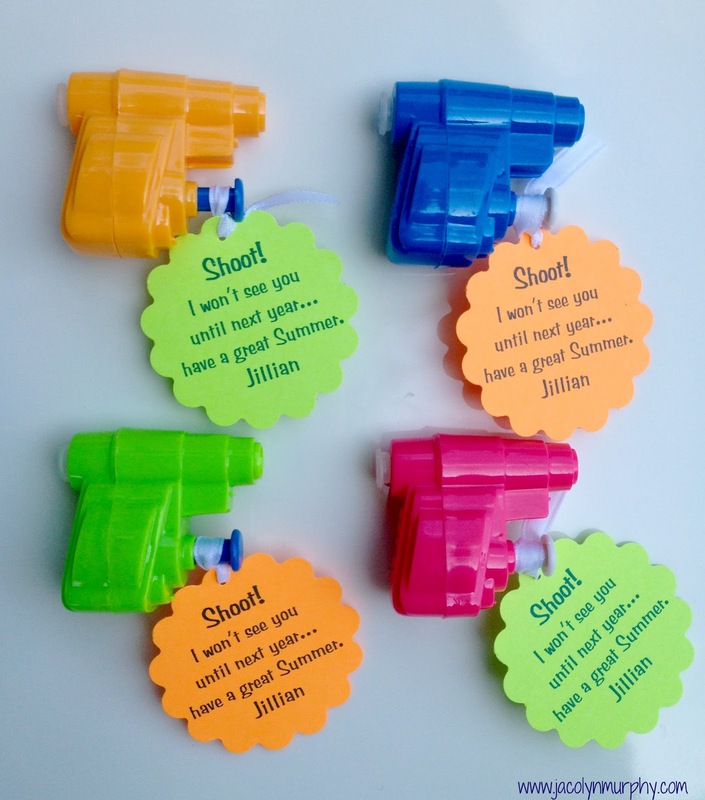 I was just wondering what I should give to my Kindergarteners on the last day of school...and came across this adorable idea!! Definitely on their way out the door or we might end up with a classroom water fight:) Thanks for sharing it! Great idea! I pinned that ... we'll have to do something like that next year.